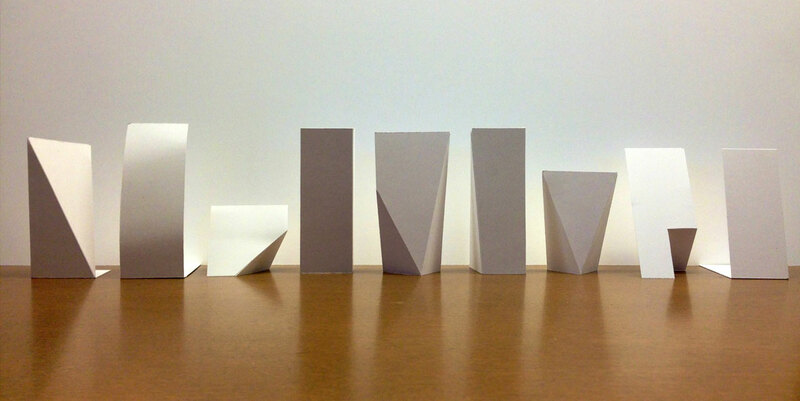 Paper: a versatile and easily transformed medium. Used as a canvas, it’s adaptable enough to support a variety of media on its surface. When moving beyond this surface, the artistic possibilities are endless. 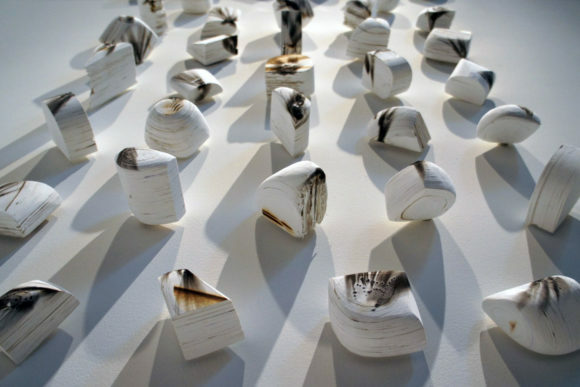 Paper can be folded, twisted, cut, torn, crumpled, woven and bent. 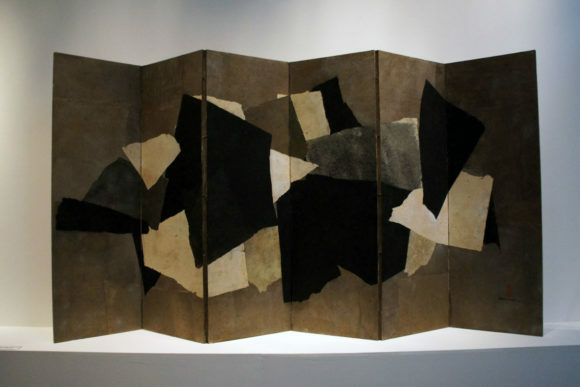 Northwest artist and master of collage Paul Horiuchi (1906 – 1999) experimented and pushed the limits of paper through his innovative collage work, particularly in the 1950s and 1960s. Today, his work continues to inspire many. 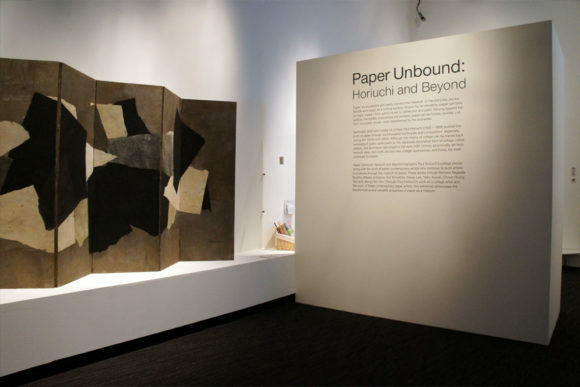 Paper Unbound: Horiuchi and Beyond highlights Paul Horiuchi’s collage pieces and features the work of seven contemporary artists who are transforming the medium of paper. 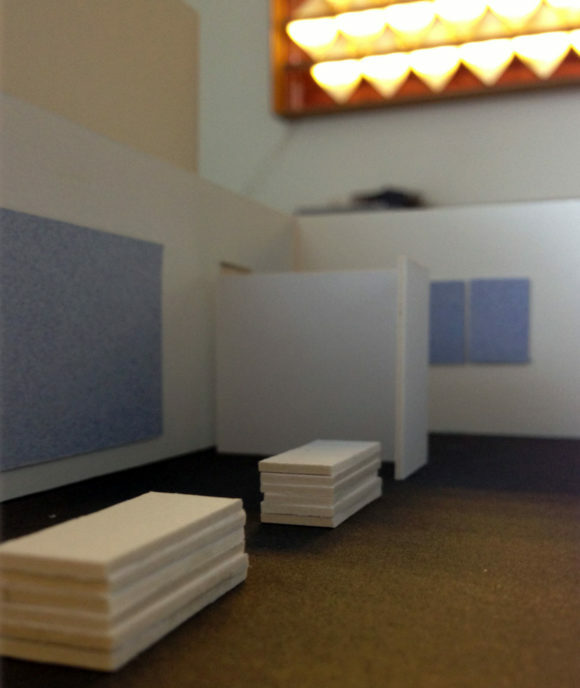 The exhibit is set with a series of “folded” white walls, creating more intimate spaces within the larger gallery volume. 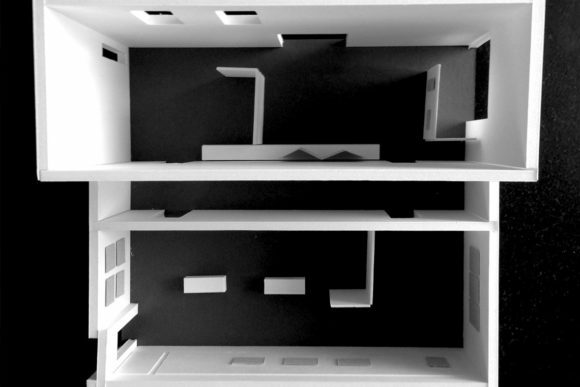 These walls are positioned to conceal the adjacent artists work from direct views, while allowing peeks through, inviting visitors to continue their experience. 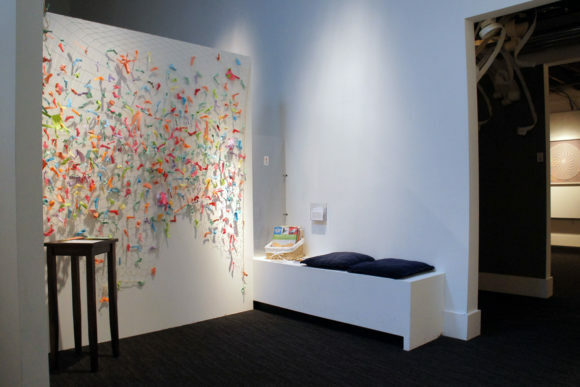 A children’s space dedicated to paper folding ends the exhibit experience, allowing for newly inspired experimentation.